Click the button below to see who won in my Fit Avenue giveaway! 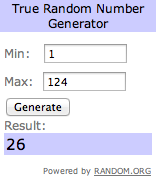 And for the winner of my Fit Avenue giveaway, congratulations Maria Christina Gumatay for winning a nail polish set! Please send me your shipping address and contact number on Facebook. That's a bautiful dress! I love strips and the difference of lenghts, so charming! Hi! Nice blog, Love this post !! Maybe you want to follow each other? I've already followed you in GFC!